Ann Green, E­RYT 500, has over 25 years of movement expertise cross pollinating athletics, yoga, manual body care and pain management. Ann is a yogi, a runner, a surfer + a shineologist! 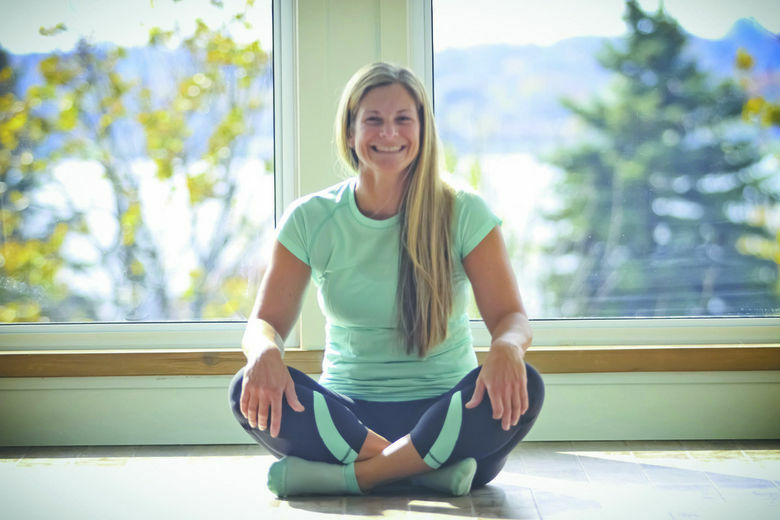 Her teaching is built upon traditional foundations of yoga and fitness with a modern, playful style in her approach! Growing up with an anaphylactic reaction to truffles and mustard seeds and an intolerance to dairy, I’ve always had to be cautious about what I put into my body. As a competitive athlete, I needed to make sure that I fueled my body on a regular basis. Processed foods were out. In part, because of the potential allergen risk, but also because of their high sugar and salt content. Have you ever been sore after a workout? Part of the soreness might not be due to the workout itself but the lack of fuel in your body. When working out, your body lets you know when it’s energy is being depleted and needs refueling. Dehydration, protein deficiency, overtraining and magnesium depletion can all result in your body feeling out of whack. Some signs to watch out for are general weakness, fatigue, muscle cramps, headaches, nausea, anxiety, dizziness, poor appetite, confusion, and even irritability and depression. Food is fuel. And there is no time that we need that fuel more than after a workout. Over the years, I’ve learned which foods provide me with energy and which just make my body feel, well, a little crummy. Having the right post workout snack is critical to repair muscles, refuel your body and hydrate. The challenge is that the traditional post workout snack recommendations - eggs, nuts, and dairy - are full of allergens. The good news is that when it comes to refueling, it’s not nuts and dairy that we need, but the macro and micronutrients that these types of foods contain. After working out, our bodies require food to both repair and regenerate all that energy that’s been expended. When planning a post recovery mini meal, strive for a balanced snack that includes the 3 macronutrients - carbohydrates, protein and fat - and micronutrients - vitamins and minerals. Whole foods give your body the energy it needs, when it is needed. Look at refueling with a smoothie or an electrolyte rich snack instead of a protein bar and sport drink. Kale, bananas, spinach, sweet potatoes, melons, seaweed and figs are all whole foods that are full of minerals. Coconut water is both tasty and extremely hydrating, while, pumpkin seeds, chia, hemp, and quinoa are all incredible sources of protein. These energy bites are SO tasty, and are a great combination of electrolytes, protein and fibre. I like to make a few batches at a time, so that I always have some bites available when I need them. 1. Place the dates, hemp seed hearts, coconut flour and cocoa powder in a food processor, and pulse until the dates are chopped with everything combined nicely. 2. Add the Maple syrup and process until a thick dough forms. 3. Roll the mixture into small spoon sized balls. 4. Put the coconut flakes in a bowl and roll the balls into the coconut to cover IF you choose. 5. Store the energy bites in the refrigerator. Makes about 15 and takes about 5 minutes! This easy to make snack, is a great combination of all the macronutrients. Full of good fat, this dip is wonderful either after a workout or as a mid afternoon pick me up when your brain is feeling drained. 1. In a food processor, combine cauliflower, lemon juice, lime juice, salt, pepper, garlic, and olive oil. Pulse until smooth. 3. Serve warm, if available, and with gluten free pretzels, or your favourite veggie choices. Makes about 3 serving sizes and may be stored in fridge for up to approximately 5 days. Sometimes, it’s just nice to be able to drink your food. This phytonutrient rich, easy to digest smoothie, is not only delicious but extremely hydrating. Since I’m dairy intolerant, I replace milk and yogurt with coconut milk or hemp milk for a delicious creamy smoothie. 1. Combine all ingredients and 1/2 cup ice with 1/2 water, or 1 full cup ice, in a blender and blend until smooth. Makes 2 to 4 servings. I like to use mason jars to use and store. Great in refrigerator for up to 3 mornings past freshly made.